The compact car segment is one of the most competitive in the entire car industry -- and that can make it difficult to choose between various models. To help you with your decision, we've examined two very popular new compact cars -- the Hyundai Elantra and the Mazda3 -- in order to find out which is better. But first, let's check out what's new with each car. 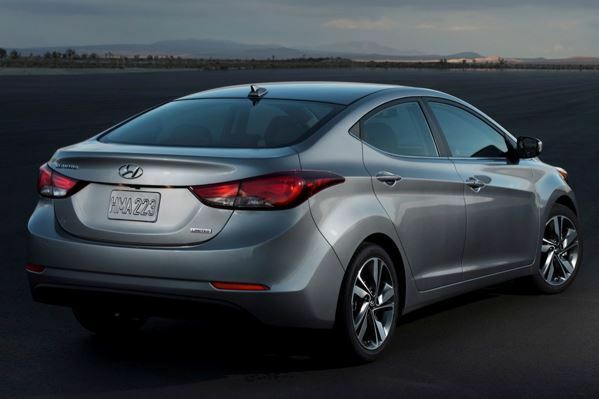 Although it's not redesigned like its Mazda3 rival, the Elantra offers significant changes. These include revised styling, a new Sport model with a more powerful engine, improved materials for a quieter cabin and an upgraded infotainment system. The Mazda3 is fully redesigned. In addition to completely new styling inside and out, the Mazda3 boasts new standard features, more powerful engines, better fuel economy and a series of new high-tech options. Although it can be hard to predict reliability, experts at J.D. Power give it a shot. Largely drawing from owner feedback and previous models, J.D. Power gave the Mazda3 a 4-circle score in its Power Circle Ratings, indicating better than average reliability. The Elantra only received an average 3-circle score. With that said, the Hyundai redeems itself in one crucial area: warranty length. While the Mazda uses a fairly standard 3-year bumper-to-bumper warranty and 5-year powertrain term, the Hyundai boasts 5 years of bumper-to-bumper coverage and a 10-year powertrain warranty, which will appeal to drivers who keep their cars for a long time. As a result, the reliability category is a draw. Both the Elantra and the Mazda3 offer two engines: a base-level 4-cylinder installed in most models and a more powerful engine that comes in sporty trim levels. As the base-level 4-cylinder engines go, the Mazda3's 155-horsepower 2.0-liter beats the Elantra's 145-hp 1.8-liter in terms of both engine power and gas mileage. In manual guise, the Elantra's 27 miles per gallon in the city and 37 mpg on the highway falls just shy of the Mazda3's 29 mpg city/40 mpg hwy. The automatic Mazda is rated at 30 mpg city/41 mpg hwy, and the automatic Elantra gets 28 mpg city/38 mpg hwy. Drivers who upgrade to a larger powertrain will once again find that the Mazda3 holds an advantage. The Mazda3 sports a 184-hp 2.5-liter engine that returns up to 28 mpg city/39 mpg hwy, while the Elantra's 173-hp 2.0-liter is rated at 24 mpg city/34 mpg highway. 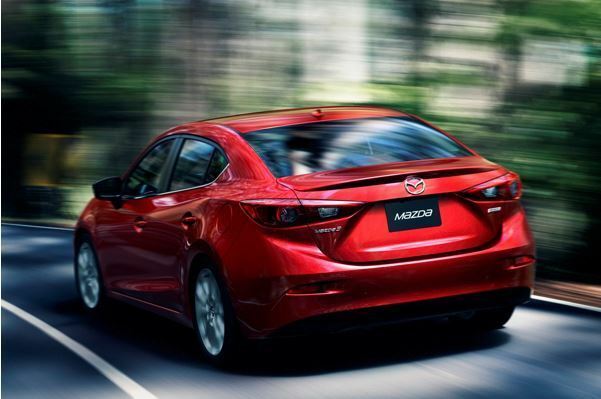 As a result, the Mazda3 is our pick if your focus is on fuel efficiency. In a segment where crash-test ratings are extremely important to most car shoppers, it should come as no surprise that the Hyundai Elantra and Mazda3 both received high marks. In fact, both cars earned a perfect 5-star rating from the federal government's National Highway Traffic Safety Administration, and both cars earned a Top Safety Pick honor from the nonprofit Insurance Institute for Highway Safety, though the Mazda3 also adds a "Top Safety Pick+" designation due to its available forward collision warning and prevention system. When it comes to equipment, however, there's only one clear leader: the Mazda3. While the Hyundai features everything you might need in terms of safety -- such as side-curtain airbags and an available backup camera -- the Mazda offers all that and anything else you could want. Not only is there an available blind spot monitoring system and rear cross-traffic alert monitor, but the Mazda3 offers optional adaptive cruise control, forward collision warning and prevention and automatic high beam control, making it by far the leader of the compact car world in terms of safety technology. For drivers interested in a base-model car with a safe driving experience, both the Elantra and the Mazda3 are good choices. But for shoppers interested in spending more money to get the latest safety technology, only the Mazda will do. When it comes to technology, the Hyundai stands out more than most compact cars, thanks to a 4.3-inch touchscreen that's standard on most trim levels, an available 7-in touchscreen, a highly functional Blue Link infotainment system and keyless entry and ignition. But the simple truth is that no compact car can outshine the Mazda3 in the high-tech realm. Not only does the Mazda3 offer a wide range of high-tech features you'd want in a compact car, it also includes some impressive gadgets and technology you'd never expect to see in a small car. We're referring to features such as automatic high beams and adaptive cruise control, which can be rare finds even in certain luxury models. So while the Hyundai once again offers everything you'd need, the Mazda one-ups it by touting everything you'd want. The Mazda3 sounds great on paper, advertising more power than the Hyundai, better fuel economy, improved predicted reliability and a wider range of safety features and high-tech gadgets. But just what does it cost for all that stuff? Actually, it doesn't cost as much as you'd think. In fact, base-level Mazda3 models offer a lower starting price than the Hyundai Elantra, and while the Mazda3 can easily climb to be way more expensive when you load it with high-end options, it stacks up surprisingly well against the small Hyundai as you move through the trim levels. While some drivers may bemoan the lack of a coupe, the Mazda3 otherwise matches up surprisingly well against the Elantra, offering an excellent value and a strong driving experience. As a result, our victor here is once again the Mazda3; it offers something that every driver can enjoy -- from the budget-conscious penny pincher to the big spender interested in a high-end small car. In nearly every comparison test against the Mazda3, we awarded the test victory to the Mazda3 -- and that's certainly the case here. The Hyundai Elantra is an excellent car, which makes the Mazda3's sound defeat even more impressive. The Mazda offers better predicted reliability, more safety equipment, more technology, better fuel economy and more engine power. In the end, the Mazda3 is the best compact car on the market -- and we highly recommend it.